You may have noticed if you downloaded a template from gavick.com, it came in a compressed form, for example gk_instyle_J!3. Joomla! can unzip and install this file online during installation process. Installing your Joomla 3.x template is, in most cases, achievable with a simple 3-step process. Follow along with the tutorial and see how easy it is to get your Joomla! website looking great. Login to the Administration Control Panel of your Joomla! 3.x website and navigate to Extensions -> Extension Manager. Once the manager in open, click the Upload Package File tab. Click the browse button and navigate to the gk_template.zip file on your computer. Select it and click Upload & Install; after a few seconds you will receive an install success message on a green background. Have you got any problems during this step? You have to use manual installation technique -> Read this article. You can install as many templates on your site as you like and even assign a different templates to different menu items. By assigning a default template, the system will display, your site based on that template. 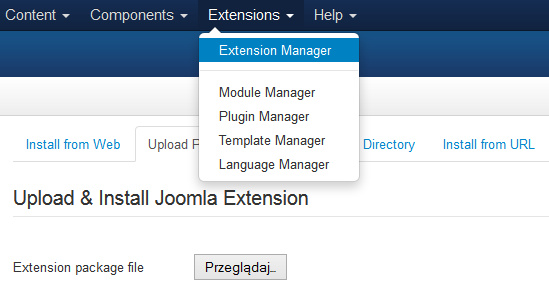 Now navigate to Extensions -> Template Manager. You will see a list of templates installed on your Joomla! website. Click the check-box next to the template name you wish to use, then click the “Default” icon at the top right of the page or click on star icon after template name. This will append your installed template to the Joomla! website. Your new GavickPro template is now active. After you have installed a new template, probably not all module blocks will show up. This is because templates from different companies contain different (and differently named) module positions. Read this guide to check all module positions. 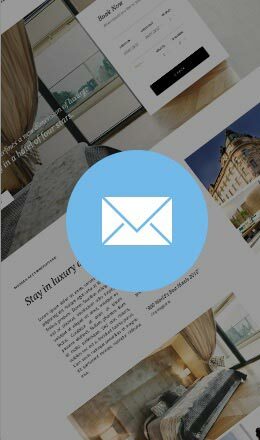 Note: The Joomla template controls the graphical presentation of your website. It determines the layout, colors, type-faces, graphical elements and other aspects of the design that make your site unique. The template does not contain text, nor modules.